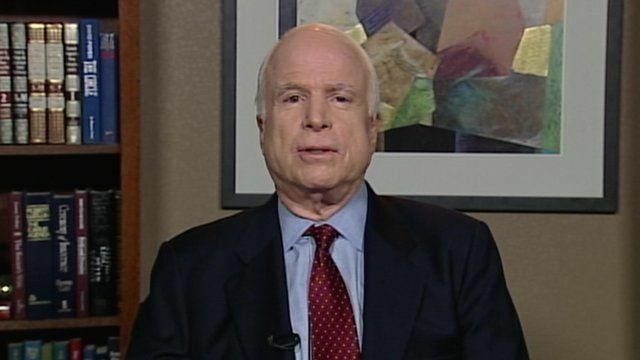 McCain: US aid to Egypt 'should be cut' Jump to media player Senator John McCain has said that the arrest of Mohammed Morsi was a "coup", and that US aid to the country should be cut off as a result. 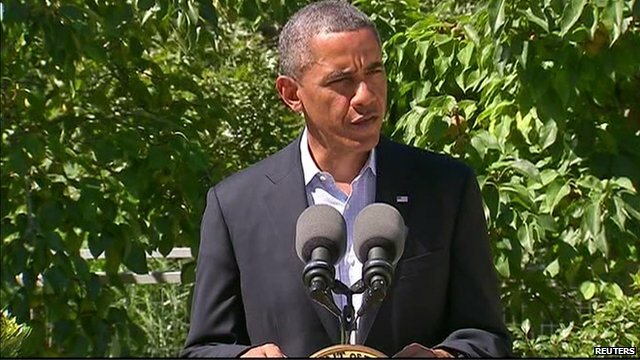 Egypt still 'key ally' in Middle East Jump to media player President Obama joined the mounting international condemnation of the violence in Egypt but failed to condemn the generals. Washington also announced that the US is cancelling joint military exercises due to start next month. 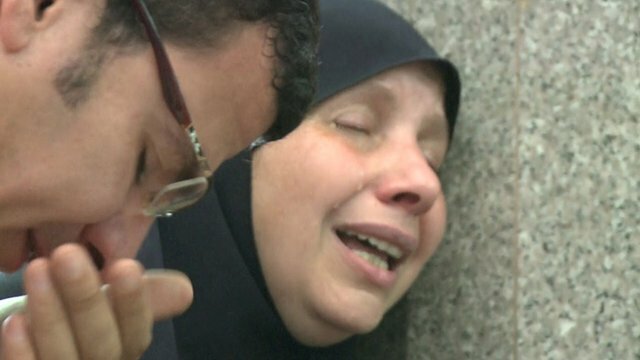 Mourning and anger in Egypt Jump to media player Jeremy Bowen reports from Cairo where there is mourning and anger, as the official death toll rose to more than 600 after security forces broke up protest camps in the city on Wednesday. 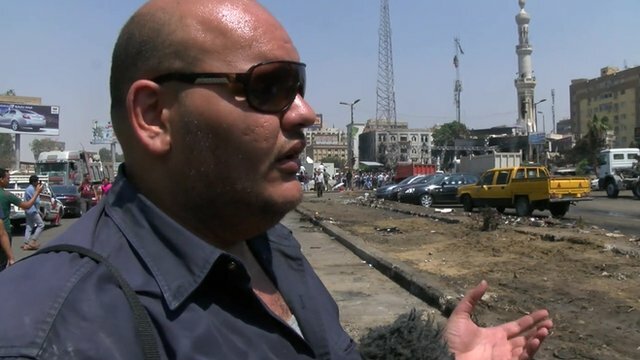 Eyewitness: 'Brotherhood were shooting' Jump to media player David Michel, from the Free Egyptians Party, says he was an eyewitness as police started to warn Muslim Brotherhood to leave the main protest camp at Rabaa al-Adawiya Square in Cairo on Wednesday. 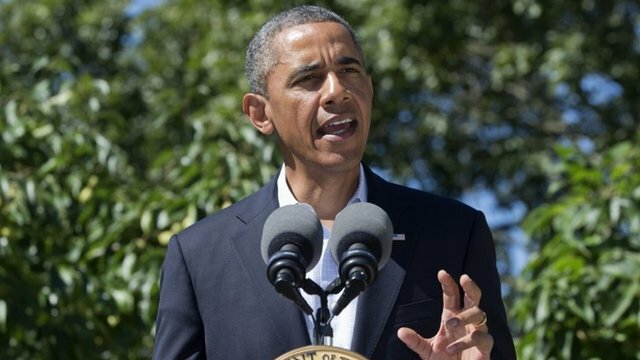 Obama condemns Egypt bloodshed Jump to media player US President Barack Obama has strongly condemned the violence against Egyptian civilians and has cancelled joint military exercises. 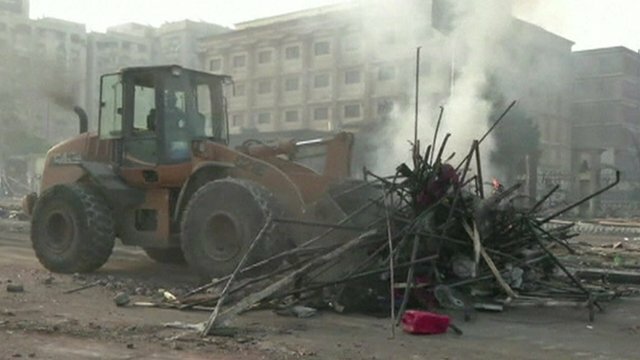 Cairo 'holding its breath' Jump to media player The BBC's Jeremy Bowen in Cairo says there is a feeling that the city is holding its breath after yesterday's violent clashes. Senator John McCain has said that the arrest of Egyptian President Mohammed Morsi was a "coup", and that US aid to the country should be cut off as a result. Speaking to BBC Newsnight's Emily Matlis, he said: "The law is very clear that if there is a coup that aid is cut off and we decided not to do that." "It's a great tragedy and the United States is basically an observer," he added. US Secretary of State John Kerry has refrained from characterising the ousting of Mr Morsi by the military as a coup. Senator McCain stood against Barack Obama in the 2008 presidential election and is a member of the US Senate foreign relations committee. 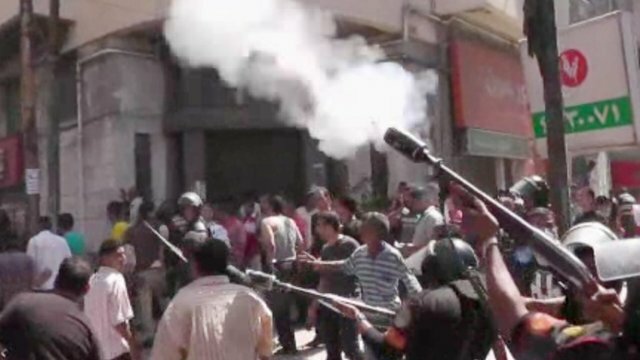 He has repeatedly referred to the action by security forces in July as a coup. Under US law, most aid must stop to "any country whose duly elected head of government is deposed by military coup d'etat or decree" or toppled in "a coup d'état or decree in which the military plays a decisive role".